Large image with scrolling thumbnails of the gallery beneath. Platinum level also offers a Promotional Tool feature so you can load a image, grab the embed code and paste it on your blog or website. 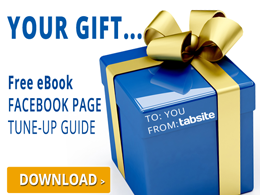 When clicked on, users will be brought to your custom tab on Facebook! How to Create a Gallery App? Subsequent to clicking the Add+ button, you will then be directed to the App Builder settings page. Upload all the images you'll be using for the Gallery App. 793 x 446 pixel images are the suggested size to be uploaded for display. In addition, there are additional options present in the page. These options comprise of "Autoplay gallery", "Show thumbnails" and the "Image rotation speed" drop-down menu. The "Autoplay gallery" enables your gallery to function in a form of an automatic slideshow. The "Show thumbnails" button lets you display a row of images below the main image. It is only available to Gold Plan level users. The "Image rotation speed" drop-down menu lets you adjust how quickly the slides will change. The selection from the drop-down list ranges from 1 to 15 seconds; 1 being the fastest and 15 being the slowest. To change the sequencing of the images, simply drag and adjust the images to your own order. When any image is added to the Gallery Images area, that images has a pencil icon in the top left and a "X" in the top right. Click the pencil to add a title, description, and URL to each image. Click the "X" to delete that image. The Facebook setting is the second one in the list. In this setting, you are able to publish your Facebook tab. Simply key in your fan page, name of the tab and a 111 x 74 pixel logo. In the "Create your own application" button, you will able to enter your App ID and App Secret on the blank boxes provided beside each variable. The third setting is known as Promotion Tools where it prepares your app for social sharing. It encompasses of sub-settings specifically Social Sharing Options, Blog/Web Callout Tool, Post Planning and Comment System. The first sub-setting of Promotion Tools is Social Sharing Options. Customizing the app is possible through the use of the social media networks listed in the page namely Facebook, Twitter, Google+ and Pinterest. Also, you can set to where exactly on the page you prefer to place the tab; top, bottom or both positions. Being the site administrator, you are capable of handling the social media accounts you are linked to. Just select which social network you would like to share your app with and do the engagement with the Facebook Like and Share, Twitter's tweet function, Google+'s +1 and Pinterest's Pin it. The Blog/Web Call-out Tool is the second one on the list of Promotion Tools. A promotional call-out is an effective way to drive additional traffic to your page. First, you have to upload an image, and then an embed code will be automatically-generated. This code can be placed on your website, blog and other websites. The online users will be forwarded to your tab on Facebook when they click your call-out image. The Post Planning sub-setting enables scheduling of your posts to various social media sites. The scheduling services offered by this sub-setting include Sendible, Hootsuite and Buffer. The site uses SMART URL when displaying the URLs for posting due to its PC and mobile friendly. It forwards to your created Facebook tab - even for users of mobile devices. The last one for Promotion Tools is the Comment System. It has the "Enable Comment System" in which, if clicked, the other options will show up. These options comprise of "Allow visitors to sign-in to comment via Facebook or Form", "Comment Notification Emails" and Require comment approval. Meanwhile, there is a button called "Manage Comments" underneath which does what its name suggests. The Like Gate Settings enables you to upload a Like Gate Image for your tab content. The ideal image size for the one you'll be uploading is 810 x 810 pixels. This image will serve as a checking tool to users visiting your Facebook page wherein it will be displayed if they are not yet your fans. On the other hand, if they are currently a fan or have already liked your page, the tab content will be accessible to them. The Advanced setting is the fifth one in the list. You can upload a header image, link color, text color as well as the background color. You can also customize the CSS for your app with the provided default styles related to it. The Language section has two sub-settings specifically the General and Comment System. The General is the first sub-setting of the Language section. It has two drop-down menus namely the Like button language and Tweet button language. These drop-down menus has several languages to choose from depending on what you prefer. It also has two added text fields which you can customize; they are the Share button text and the Buy Now button text. The second sub-setting for Language is the Comment System. It consists of two parts, the Language Settings and Errors. The boxes beside these input information can be customized to your preferred texts. The Mobile section is consist of two Global Options. These two options are "Render desktop version on mobile" which enables the app to be accessed by mobile users since it can be converted to a mobile-friendly alternative version. The "Use like gate on mobile devices" option displays the Like gate image of the app to reveal the similar information. 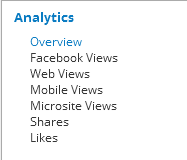 The Analytics is the last section of the settings. It's main objective is to track the daily traffic of the app and determine where there traffic comes from. The graphs representing the section comprise Overview, Facebook Views, Web Views, Mobile Views, Microsite Views, Shares and Likes. When you have already finished doing the changes with the settings, simply click the green "Save" button. You will be directed to the My Apps tab page after you click the "Save" button. This area is where you can view all your created apps. You can easily create another app, test its features and publish it in accordance to the features of your Plan. Just click "Publish" to undergo the procedure of publishing the app to Facebook or to your website/blog.